Outer Ring Road (ORR Bangalore) offers better odds for Bangalore real estate market. Lang LaSalle India reported that Outer ring road is the best performing commercial area in Bangalore. ORR Bangalore (Outer ring road)turns up as one of the best commercial real estate area. 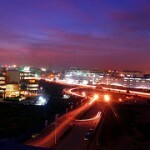 The latest report of Jones Lang LaSalle India (JLL) revealed that ORR Bangalore is the best performing commercial area. The JLL report specially highlighted the growing importance of K. R. Puram – Marathahalli – Sarjapur Road stretch. According to the recent studies by JLL the ORR Bangalore has an increased growth. This area has become one of the most performing commercial areas in Bangalore. Whitefield also is said to be included in the best performing commercial areas in Bangalore metropolitan. The future of Bangalore’s commercial real estate will mainly revolve around the ORR Bangalore and Whitefield. The other commercial areas such as the Central Business District (CBD), Koramangala and Bannerghatta Road remained largely static throughout 2012. JLL India’s Bangalore and Kochi regional Managing Director, Mr. Karun Varma said that the Outer Ring Road has highly benefited from the limited supply of office space. As a result the area has low vacancy levels. Further the area boasts of a healthy office space absorption rate and appreciable rental rates. The ORR Bangalore is a predominant IT corridor. Majority of the office space is demanded by the IT sector. Besides the IT sector bigger corporates also raise demand for office space. With all these Outer Ring Road has a higher demand than supply. This is the reason why there has been a considerable rental appreciation in the area. Outer Ring Road (ORR) has easier accessibility to many residential areas. Its higher level connectivity to various SEZs and IT parks also is noted. These factors attract the attention of many Corporate as well. Limited supply of office space forces the retailers and Corporate enter into, pre-launch commitments. There is actually a shortage of ready-to-move-in office spaces. The existing occupiers are facing higher demand from the newcomers. Highly supportive nature of the Outer Ring Road area suits commercial purposes. This attracts a vast number of newcomers to the area. The existing occupiers are at the same time looking for expansion. This creates higher demand for the office spaces here. It boosts the commercial real estate market of Bangalore. This entry was posted in Articles, Real Estate News and tagged Bangalore, Bangalore Real Estate, JLL, Jones Lang LaSalle India., Office Space, ORR, Outer Ring Road by designer. Bookmark the permalink.